Today, the A Year Without Autumn by Liz Kessler Blog Tour is stopping here at Once Upon a Bookcase. Liz is here to share a guest post on the butterfly effect. When Kate, my publicist, said that Once Upon A Bookcase wanted me to write about ‘the butterfly effect’, I have to say I wondered if they’d read the book. I mean, I love butterflies as much as the next person. More, possibly. 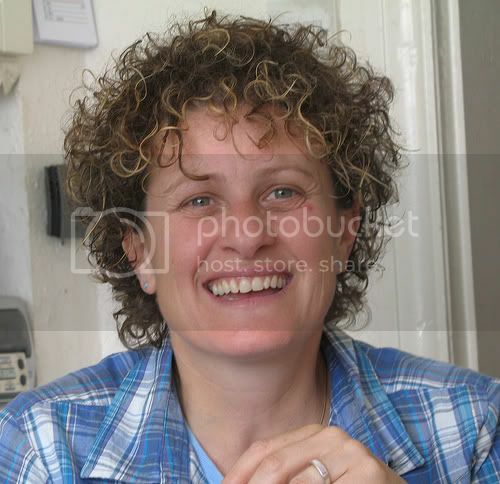 In fact in one of my books, Philippa Fisher and the Dream Maker’s Daughter, butterflies (or fairies working for the Dream Delivery Department, which is in fact what butterflies really are) feature extremely prominently. But what did they have to do with my current book? Ooh, wait, that’s what my new book is about! Aha! I see! That’s why you want me to write about it. Jenni and her best friend Autumn are on holiday at the time share apartments their families stay in each year. Only, this year’s holiday doesn’t work out as planned. On her way round to Autumn’s apartment, Jenni finds that she has somehow been transported forward a year. Everyone except Jenni is a year older. She has no idea how this happened – but that’s only part of the problem. A terrible tragedy has happened. Jenni’s brother is in a hospital bed in a coma – which he’s been in since the very day that Jenni skipped forward in time. Jenni has to figure out how she got here, what caused the accident and if there’s any way she can get back and change the past so that the future works out differently. I’m not going to tell you if she manages to do this. (Obviously – or you’d have no reason to go out and buy the book!) But what I will say is this: I just LOVE the whole idea that it’s the tiny moments that have a huge impact on our lives. Those little incidents where, had you been a moment earlier, or taken a different route, or changed your mind at the last minute – the whole course of your life might have turned out differently. If A Year Without Autumn makes you think about big questions like this, and makes your brain tingle and fizz and melt just a tiny bit, my job is done! But in the meantime, remember, the butterfly effect isn’t just for butterflies. So next time you go for a walk and decide to turn left at the end of the road, the same way you always do, how about turning right this time instead? You’ll never know it, but that split second decision could possibly change the entire course of the rest of your life. Thank you, Liz, for such an interesting guest post! Be sure to check out Liz's website. 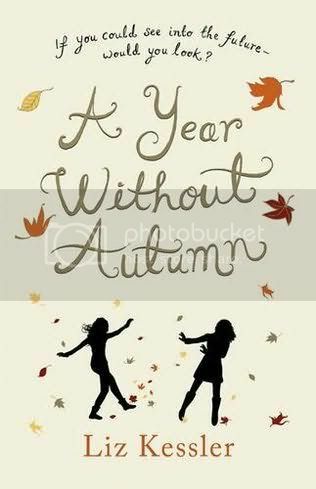 A Year Without Autumn was released on 7th April 2011, and you can buy it from Amazon UK and pre-order on Amazon US. I actually read a short story about called The Butterfly Effect when I was at school, many years ago! Fab post. Well done Liz.